Item is a watercolour sketch of a costume design for Ballet Jorgen's production of Swan Lake. 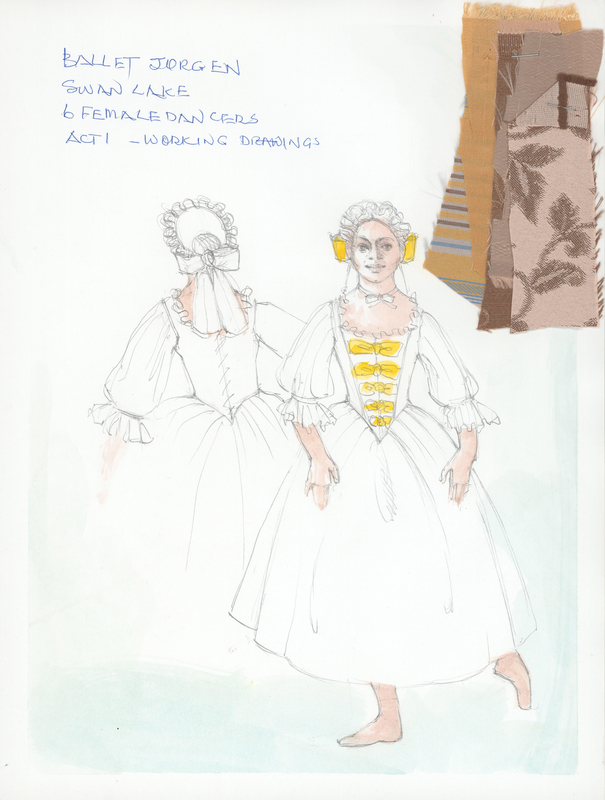 The costume is for six female dancers who appear in Act 1. The sketch is labeled as a working drawing and is largely unfinished. The sketch shows a female figure wearing the costume, shows from the front and the back. There are fabric swatches stapled to the sketch.